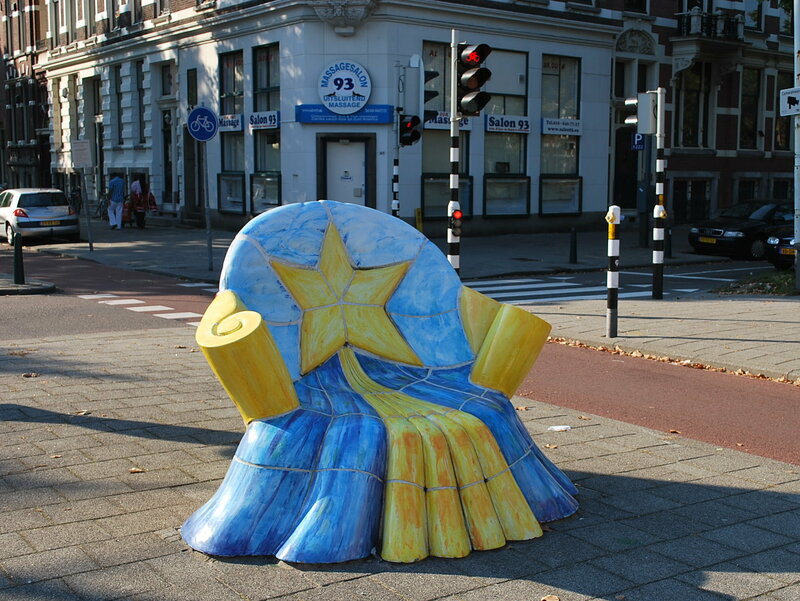 I pass these two sculpted ceramic chairs every time I walk into the city center or to Het Park. There they are, transforming the non-descript bit of pavement that separates the bicycle lane from the vehicles barreling by, with the traffic exiting the Maas tunnel thundering under your feet. I don’t know who made them or why they’re there or how long they will stay, but I would be pleased to see them there permanently. 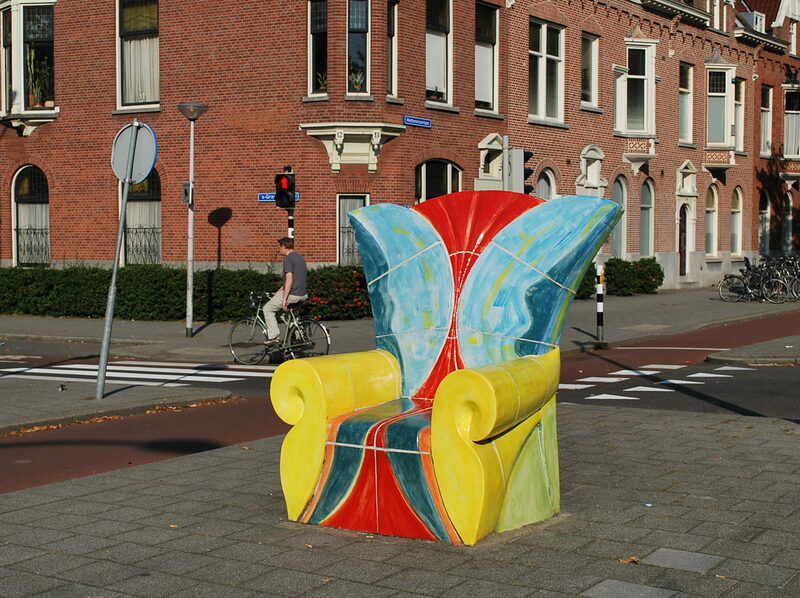 You can find them at the intersection of Mathenesserlaan and s’Gravendijkwal in Rotterdam. For now.